An edition of 88 hand-pulled original serigraphs, plus twelve artist proofs and eight players proofs. Only two other players in the history of baseball have accomplished this astounding feat. Holien's brilliant portrayal of this special moment in sports history is enhanced by the superb serigraph process utilized to produce this stunning image. 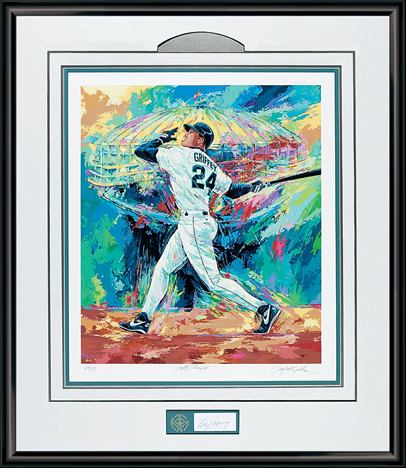 Griffey's original pencil-signed autograph completes this memorable artwork. Overall framed size: 35" x 42"